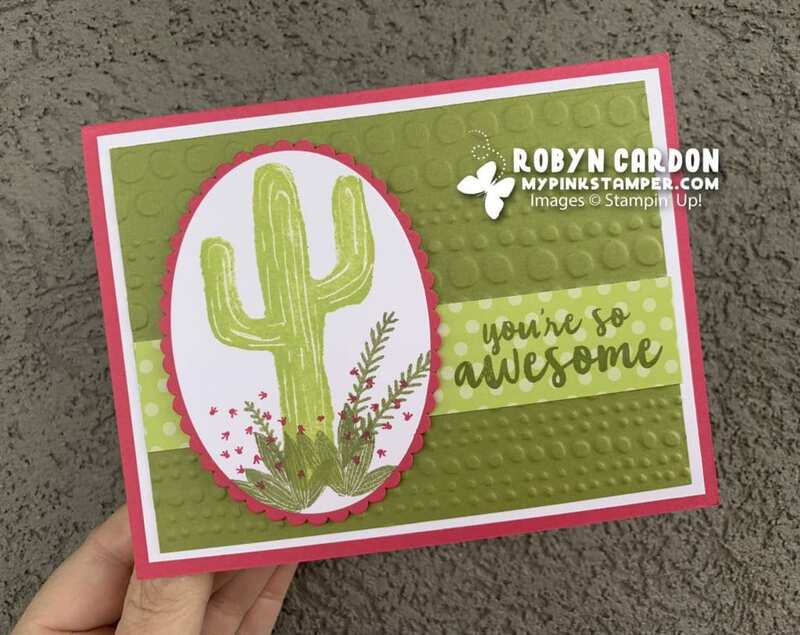 Just wanted to pop in and share a fun card I made using our new Flowering Desert stamp set. I hope you enjoy! Don’t forget that we are in the middle of our BIGGEST PROMOTION OF THE YEAR called Sale-a-bration!! Have you earned your goodies yet? More info under the video on this post. Here it is…. So BEAUTIFUL and BRIGHT in person!! Melon Mambo is my favorite color!!! It just makes everything pop!!! Love the card!!! Love your use of colors and prints and textures. That is just a stinkin cute card. Love your ideas. Thanks for sharing. That is so stinkin cute. Just Love it. Love this card. I think I’ll have to order this set. Was on the fence, but just really like it. Love it, so bright and pretty!! 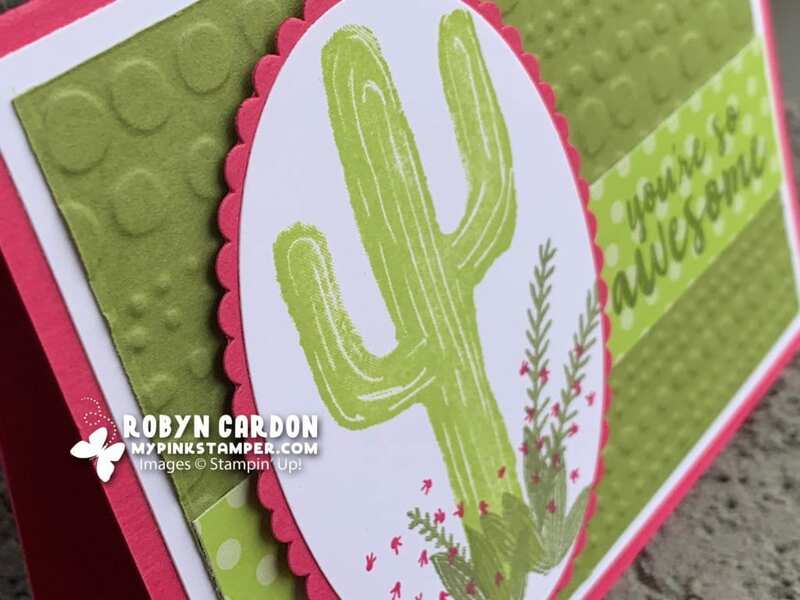 Love this bright card on a cold, cold day here in Minnesota! Love the bright, cheery colors! Nice card. Need to make this!! 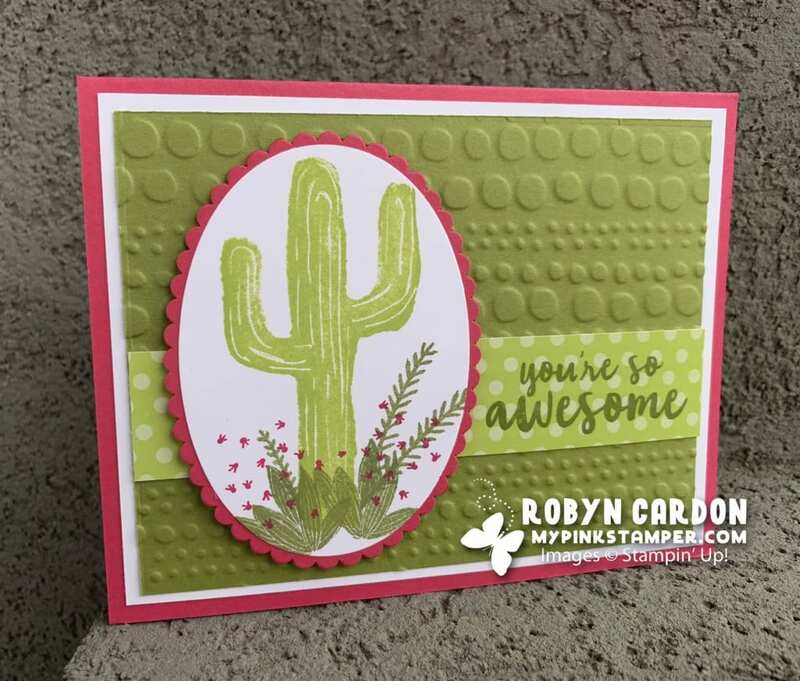 Great colors together….Love the card!!! So adorable! Love the colors!